Here and Now. 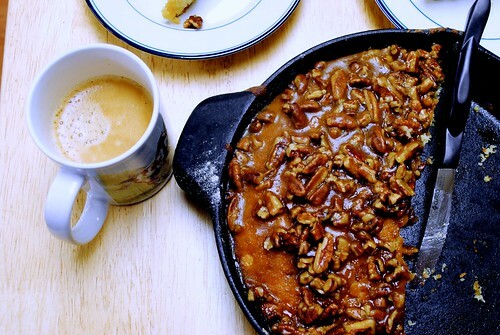 Buttermilk Skillet Cake with Praline Topping. This weekend I am focusing hard on the here and now, not on the what I wish and what should have been. Because in reality what should have been is right where I am here and now. I have a cake recipe for you to, you know, help you avoid meetings. It comes to you from the Joy the Baker Cookbook. I’ve passed the recipe over many a time, probably because it looks so simple. I’ve passed it up for the fancier carrot cakes, avocado cupcakes, brown butter chocolate chip cookies, chocolate chocolate muffins … uh, maybe I just passed it up for chocolate. You should probably bring this cake to your next meeting at work, because every office could use a midday party. 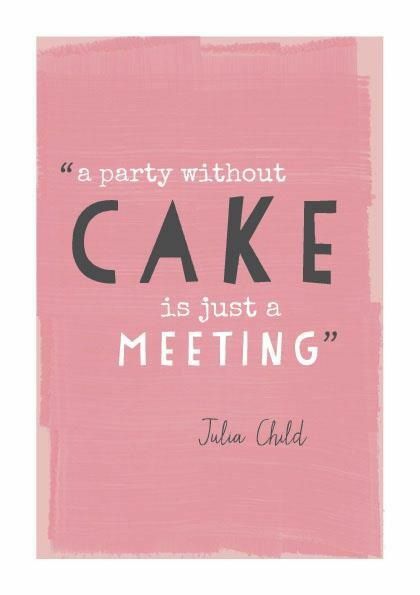 And it is the perfect cake for a spontaneous meeting-gone-party. 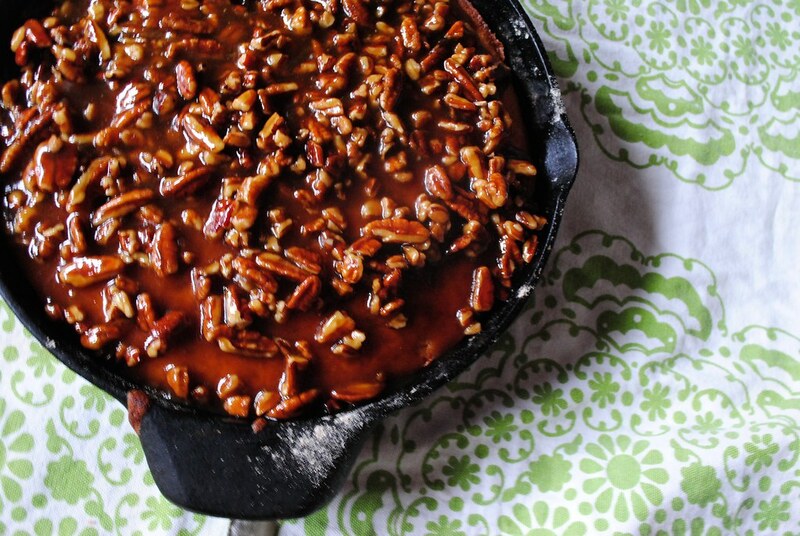 So simple and unassuming in its cast-iron skillet (though you can make it in a cake pan, too). It most importantly is easier to make than going to the grocery to buy a cake. If you bake or want to start baking, the ingredients in this recipe are ones you either always have in your kitchen or ones you should buy, because you will use them in any other recipe you’ll make. It smells just like a simple, perfect cake should—buttery, warm, vanilla-y. Buttermilk is key here, making the cake lovely and tender. And the praline topping? It looks like caramel, but it’s so much easier. Trust me. Caramel and me do not have a good relationship. But as this topping boils on the stove, your kitchen starts to smell like a candy store. I may have stood over the pot just breathing in the sweet scent. 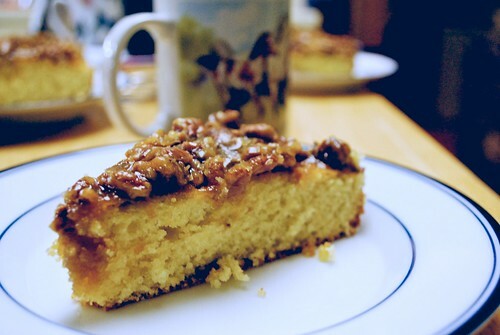 Sweet and simple cake like this is perfect with a cup of coffee after family dinner on Sunday night. I guess that makes family dinner a party. Place a rack in the upper third of the ove, and preheat to 375°. Grease and flour the bottom and sides of an 8-inch overproof pan (preferably a cast-iron skillet) or 9-inch cake pan. Make the cake. Whisk together flour, baking powder, baking soda, and salt in a medium bowl. Set aside. In a bowl of an electric mixer fitted with beaters or the paddle attachment (if you have a stand mixer), beat butter and sugar until well incorporated and lighter in color, about 3 minutes. Add egg and egg yolk, beating after each addition for 1 minute. Beat in vanilla. Turn the mixer down to low. Add half of the flour mixture, followed by half of the buttermilk. When the flour is just combined with the butter mixture, add the remaining flour. Beat on low speed until almost all of the flour has disappeared. Remove the bowl from the mixer and finish incorporating the ingredients with a spatula. Spoon batter into prepared pan and spread evenly. Bake for about 30 minutes, or until a skewer or butter knife inserted into the center of the cake comes out clean. While the cake bakes make the praline topping. 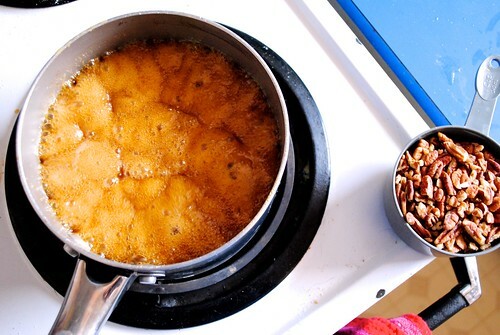 In a medium saucepan, combine brown sugar, butter, cream, and salt over medium heat. Bring the mixture to a soft boil (that’s just small bubbles) for 3 minutes. Remove from heat and add vanilla and nuts. Stir. The topping mixture may seem too loose for the cake, but let it sit in the pan for 20 minutes. It’ll firm up. I am grateful for my daughter Julia, and for her baking skills. This cake was YUMMY! !